This is the softest yarn I have crocheted with! 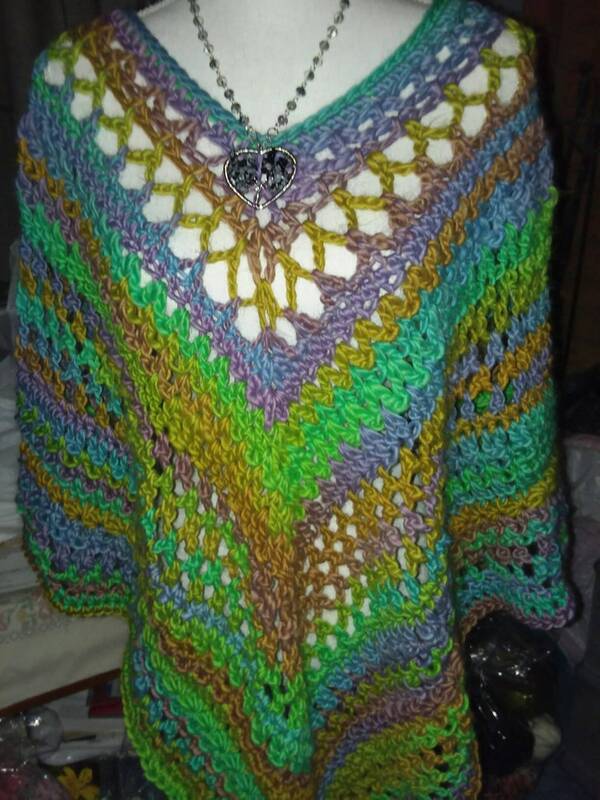 Lovely colorful and soft women's poncho one-size-fits-all. Two of my models were my husband LOL and my daughter so I know it will fit up to about 2 X. Can machine wash cold water gentle in a mesh bag but should be laid flat to dry to preserve its beauty!